The solar system is host to two broad categories of planets. 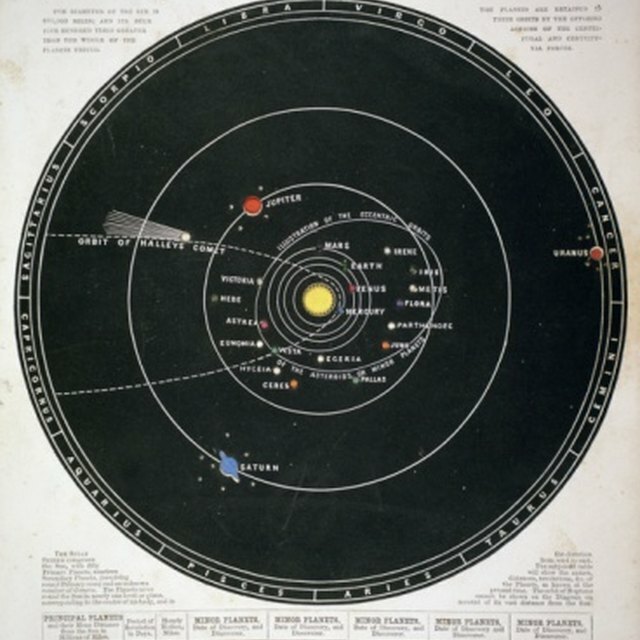 The four closest to the sun — Mercury, Venus, Earth and Mars — are the terrestrial planets. They have rocky surfaces enclosed by relatively shallow atmospheres. 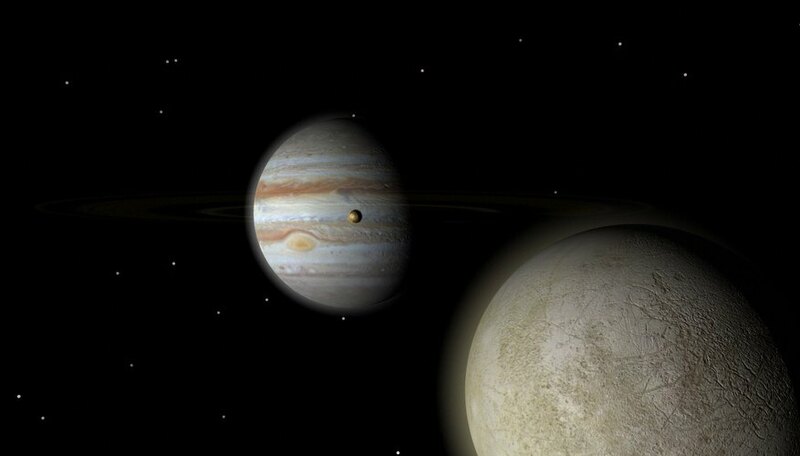 The gas and ice giants — Jupiter, Saturn, Uranus and Neptune — are outliers. They are much larger than the terrestrial planets, but their cores are small and icy. Most of their size is formed by a combination of gases that become denser and hotter as you get closer to the core. 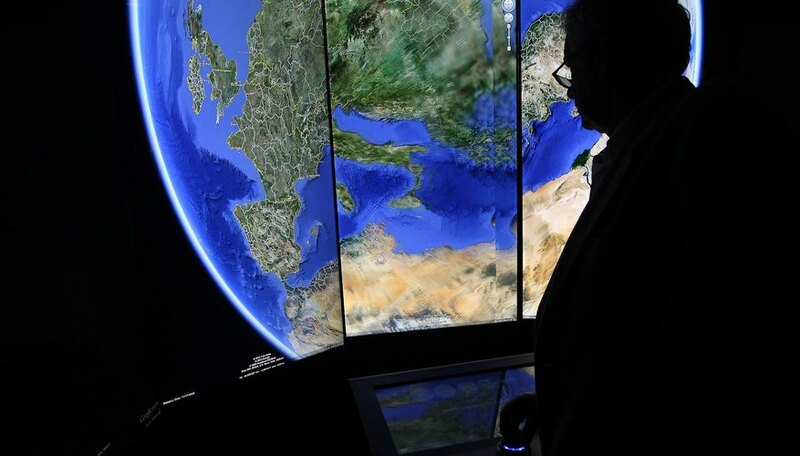 Scientists count eight planets overall. Pluto was reclassified as a dwarf planet in 2006. Mercury is the closest planet to the sun. It rotates slowly — about twice for every three orbits it completes. Its cratered surface can experience temperatures upwards of 800 degrees Fahrenheit (426.7 degrees Celsius) because of its proximity to the sun. However, temperatures on the side facing away from the sun are cold — about -279 F (-173 C). Slightly larger than Earth's moon, it is the smallest planet in the solar system. It has no moons, no rings, and an atmosphere so thin that scientists classify it as an exosphere. 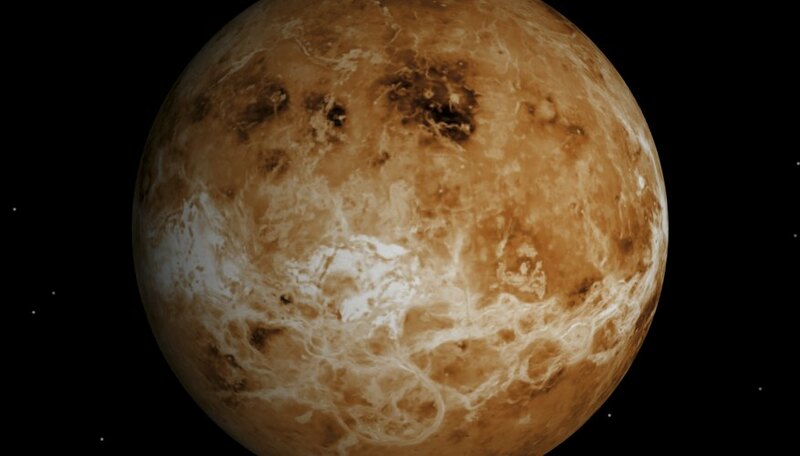 The second planet from the sun, Venus is slightly smaller than Earth. Because of its relative proximity to Earth, it is the largest planet seen in the night sky. The cratered surface is hot with surface temperatures around 900 F (482 C), the product of a runaway greenhouse effect. Although the atmosphere is nowhere near as thick as that of any outer planet, it's the thickest of the terrestrial planets, and it consists mostly of sulfuric acid and carbon dioxide. The density of its atmosphere makes the air pressure at the surface 90 times that of Earth's. The heat and pressure make the planet decidedly inhospitable to life. Earth, the third planet from the sun and the largest terrestrial planet, is the only planet known to host living beings and the only one known to have liquid water on its surface. The atmosphere, made of mostly nitrogen, oxygen and carbon dioxide, is crucial to Earth's ability to support life. Although the surface of the earth is mostly water, the planet also has large landmasses which harbor a stunning variety of ecosystems. Stargazers from antiquity have called Mars, the fourth planet from the sun, Mars, the Red Planet. The red color of the surface comes from iron oxide or rust in the soil. The topography is characterized by large volcanoes and deep valleys, and Mars experiences frequent planet-wide wind storms. Some of the surface features of Mars, such as dry river beds, hint to the possibility that water previously existed on the planet and may still flow under the surface. 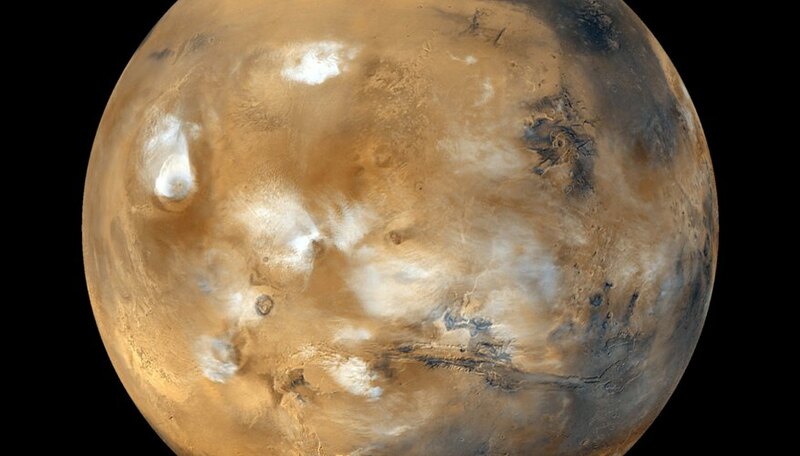 The carbon dioxide atmosphere is very thin on Mars, with only 1/100th the atmospheric pressure of Earth. The planet is colder than Earth, with surface temperatures ranging from -171 to 32 F (-113 to 0 C). Further from the sun, past a ring of asteroids, lies the largest planet in our solar system — Jupiter — the first of the gas giant planets. Its characteristic colored cloud patterns are caused by enormous, swirling storms in its atmosphere, which consists of primarily of hydrogen, helium, methane ammonia and water ice. The largest and most distinctive of the storms, the Great Red Spot, is larger than Earth. Jupiter has 63 moons and a faint ring system. Saturn, the sixth planet from the sun, is also a gas giant, and it's most impressive feature as seen from afar is an extensive and complex ring system. The rings orbit the planet in a thin band about a mile thick. 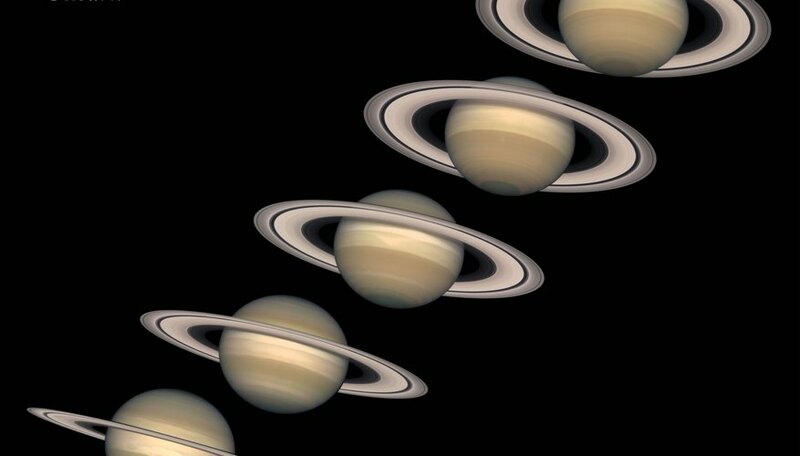 The radius of Saturn is about 9.5 times that of Earth, and instead of one paltry moon, it boasts 62. The interior of Saturn, like Jupiter, is made of mostly hydrogen and helium. Nearing the core, the intense pressure turns the gases into liquids and ultimately into a metallic form that conducts electricity. While most planets spin on their axis with a slight tilt, the ice giant Uranus spins on an axis parallel to its orbit. With a diameter of 31,518 miles (50,723 kilometers), this cold planet is four times the size of Earth and is made of a large atmosphere of methane with a dense core of frozen methane. Uranus has a faint ring system and 27 moons in its orbit. 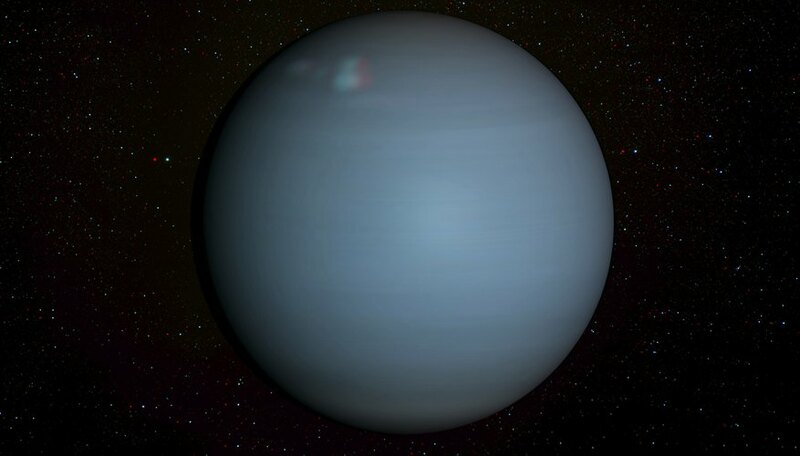 The blue planet Neptune is the farthest one from the sun and, like Uranus, is a very cold place. Its surface temperature is a chilly -353 F (-214 C). Because of its distance from the sun and its large orbit, one year on Neptune is 165 Earth years. The atmosphere is mostly methane, which gives the planet its blue color. The cold interior of the planet is mainly methane ice. Like all the outer planets, Neptune, like Uranus, has a diameter roughly four times that of Earth. Thirteen moons and a faint ring system orbit the planet. 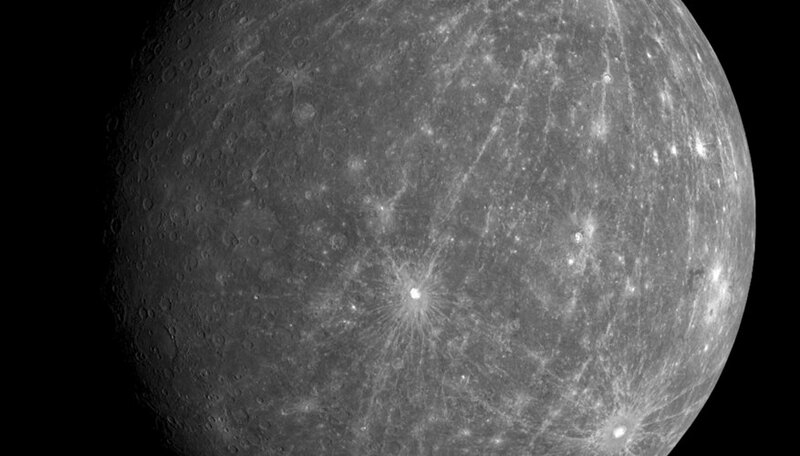 Cal Tech: How Hot is Mercury? 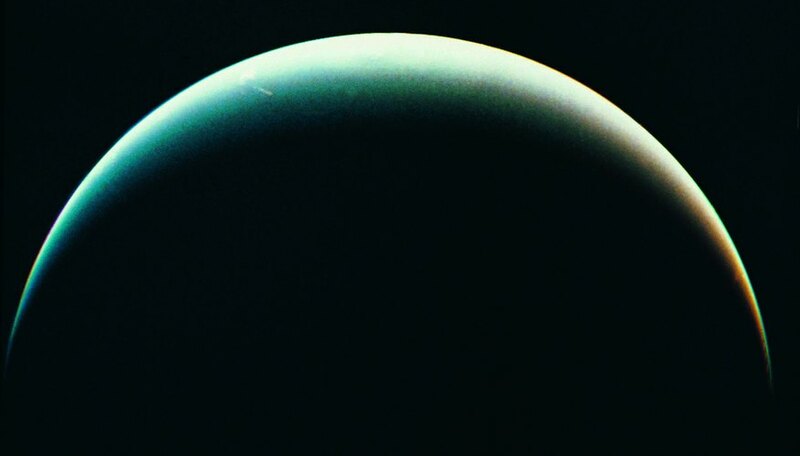 Cal Tech: What Is the Weather Like on Neptune? Jason Powers started writing professionally in January 2011. He has published articles, book and music reviews for over seven years for such publications as the now-defunct "Clamor" magazine. Since 2000 Jason Powers has worked primarily as an audio engineer in Portland, Ore. and also as an on-call social worker. He holds a Bachelor of Arts from the Evergreen State College. Powers, Jason. "The Characteristics of the Eight Planets." Sciencing, https://sciencing.com/characteristics-eight-planets-8332488.html. 23 April 2018.